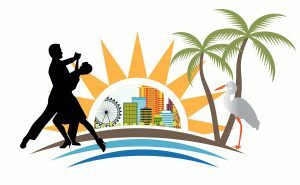 What is Choreographed Ballroom Dancing? Interested in learning to dance? Find a local instructor. Not a member click here to join. Plans are underway and you are not going to want to miss out on ICBDA 43 in Orlando Florida. So mark your calendars and start planning your trip to join your dancing family July 10-13, 2019 for a great time on and off the dance floor! Those of you looking for a quieter experience may want to explore some of Orlando’s Eco Tours. Air boat rides, swamp buggies, kayaking, natural springs, birding and nature parks are just a few of the many things to do in Orlando’s great outdoors. Thrill seekers will want to check out the indoor skydiving at IFLY Orlando indoor sky diving. If you are looking for night time entertainment, (after the dance of course) this would be your chance to see the famous Blue Man group. Golfers bring those clubs and take advantage of some of the best golf courses in the country. The host hotel this year is the beautiful Rozen Plaza Hotel. Once you are at the hotel a car is not needed because of the large number of restaurants within walking distance. The hotel itself has six options of places to eat. Those of you looking to shop will be enjoy walking right across the street to a large shopping center with something for everyone. There are a variety of campgrounds close by. More information will be coming on camping as we move forward. Many people are working in rhythm to put together a terrific convention for you. Keep watching for more details coming your way and start making plans to join us at ICBDA 43 in Orlando. It is sure to be some of the best dancing of 2019. The hotel does not furnish a shuttle to or from the airport. You will need to plan your arrangements for getting to and from the hotel. One option is with Mears Shuttle (407) 422-4561. The cost for their services is $20.00. Parking at the hotel will be $13.00 per day or valet parking is $20.00 a day. Parking for guest staying at the hotel is $6.00 per night.